At the invitation of Brazilian President Dilma Rousseff, Li is expected to begin his visit to Brazil on Monday, the first stop of his first Latin America trip since taking office. As Brazil’s largest trade partner, China invested 18.94 billion U.S. dollars in the Latin American country in 2014, while Brazil, China’s largest trading partner in Latin America, trying to get a bigger share of China’s dynamic emerging market. Due to a slowed growth rate and the restructuring of China’s economy, Brazil’s export of natural resources, particularly minerals, has reduced. However, the two countries are making concerted efforts to expand cooperation in other fields such as the energy industry, equipment manufacturing, infrastructure, finance and the service sector. “It is not just about resources. China’s trade with and investments in Brazil are showing a tendency of diversification in areas of manufacturing and aviation,” Chinese Assistant Minister of Commerce Tong Daochi told Xinhua ahead of Li’s visit. A relatively lower growth rate and higher-quality development in China will bring more opportunities to bilateral economic partnership and spur a more sustainable development of their economies. About 200 Chinese entrepreneurs will attend a summit with their Brazilian colleagues during the visit. Leading Chinese bankers, in particular, will work with Brazilian partners to expand bilateral financial cooperation, which has offered strong support for the trade of goods and services between the two countries, Tong said. China offers more opportunities for Brazilian financial institutions doing businesses in China, firstly in experimental free trade zones, hoping that its currency, the RMB, will have a stronger presence in bilateral trade and monetary transactions, with an eye to liberalize the Chinese currency, he said. Space technology is another area both China and Brazil are interested in and focusing on. A satellite was successfully launched from China’s Taiyuan space base into orbit in December 2014 under the China-Brazil Earth Resources Satellite Program. Li’s Latin America tour coincides with China’s active efforts to promote its Belt and Road Initiative, which aims to promote infrastructure construction cooperation with Asian, European and Pacific countries. During Li’s visit, the two sides will sign a series of cooperation documents, such as that on a joint study of the feasibility of building a railway connecting the Brazilian Atlantic coast with the Peruvian Pacific coast. The railway is expected to not only help South America improve its transportation system and regional trade, but also boost the trade and economic cooperation between China and Latin American countries. A development bank and a foreign exchange reserve arrangement among BRICS, which groups Brazil, Russia, India, China and South Africa, will also help finance large infrastructure projects like a transcontinental railway. Meanwhile, Brazil is enthusiastic about investing in Asian infrastructure construction, having applied for a founding membership of the China-initiated Asian Infrastructure Investment Bank. As China is comprehensively deepening its reforms, Brazil and other major trade partners of the world’s second-largest economy will get more investment and job opportunities as well as easier access to the Chinese market thanks to increased trade, tourism and cultural exchanges, analysts say. Chinese Prime Minister Li Keqiang headed to Brazil on Monday on a three-day visit with a promise of $50 billion in investment for creaking infrastructure as his hosts finalize preparations for next year’s Rio Olympics. Li, who was due to land late afternoon in the capital Brasilia, will hold talks Tuesday with President Dilma Rousseff, for whom the investment will be a major boon. Brazil’s economy is battling a fifth straight year of poor growth and spiraling inflation. Li will head for Rio on Tuesday evening to see some of China’s investment in the city, which Brasilia supplanted as the capital in 1960 but which will in August next year welcome South America’s first ever Olympic Games. On Thursday, Li will continue a Latin American swing designed to increase Chinese influence in the region, heading to Colombia before visiting Peru and Chile. Chinese investment in Brazil has grown exponentially over the past decade, with the Asian giant becoming Brazil’s main trading partner in 2009. Trade between China and Latin America as a whole rose some 2,550 percent between 2000 and 2012 from barely $10 billion to $255.5 billion. Sino-Brazilian trade mushroomed from $6.5 billion in 2003 to $83.3 billion in 2012. Jose Graca Lima, head of Asian affairs in the Brazilian foreign ministry, said ahead of Li’s arrival that a “second generation” of Chinese investment is under way. 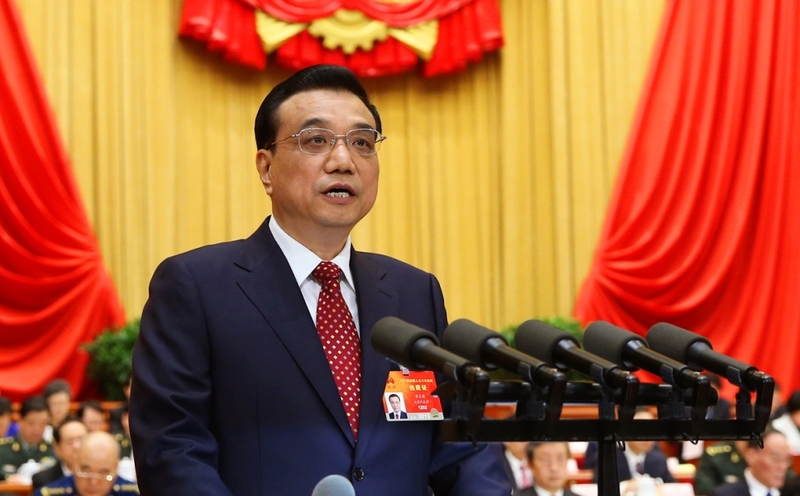 The first involved trade in raw materials and the focus now is on heavy industry and infrastructure, he said. Graca Lima said Friday that Rousseff and Li will ink a series of accords on political and commercial issues, and some 30 investment deals. One mooted project is a proposed rail link stretching some 3,500 kilometers (2,175 miles) from the key Brazilian port of Santos to the Peruvian Pacific port of Ilo. Graca Lima said the plan would take some three to four years to realize, but he assured it is “advancing,” despite some environmental groups voicing concern. The countries are also expected to announce the delivery of 22 jetliners from Brazil’s Embraer to China — part of a larger order of 60 airplanes from the world’s number three commercial aircraft developer. Brazil has seen its reputation hit by a huge graft scandal at oil giant Petrobras. But the firm received a boost earlier this year when it signed a $3.5 billion financing deal with the China Investment Bank. “China is fulfilling a desperately-needed role of investor in Latin America and the Caribbean -– Brazil desperately needs investment,” says Charles Tang, chairman of the Rio-based Brazil-China Chamber of Commerce and Industry. “We believe in the fundamentals of Brazil,” Tang told AFP. “China sees opportunities in Brazil for investment and also has the funds available to invest” for strategic and geopolitical reasons. In an interview, Tang referred to a World Policy Institute essay he penned in 2013 in which he said “Latin America and China’s economies are complementary. Brazil … has insufficient savings to finance increases in export production and job creation or build the infrastructure it needs. Li’s visit will feature trade delegations some 130-strong from both countries during his Brasilia stay. In Rio, he will attend the unveiling of Chinese-made trains for a new Metro line.